‪I’ve been working on my little book called “Emma has a Dilemma” recently and created these small sweets for some of the color spreads. 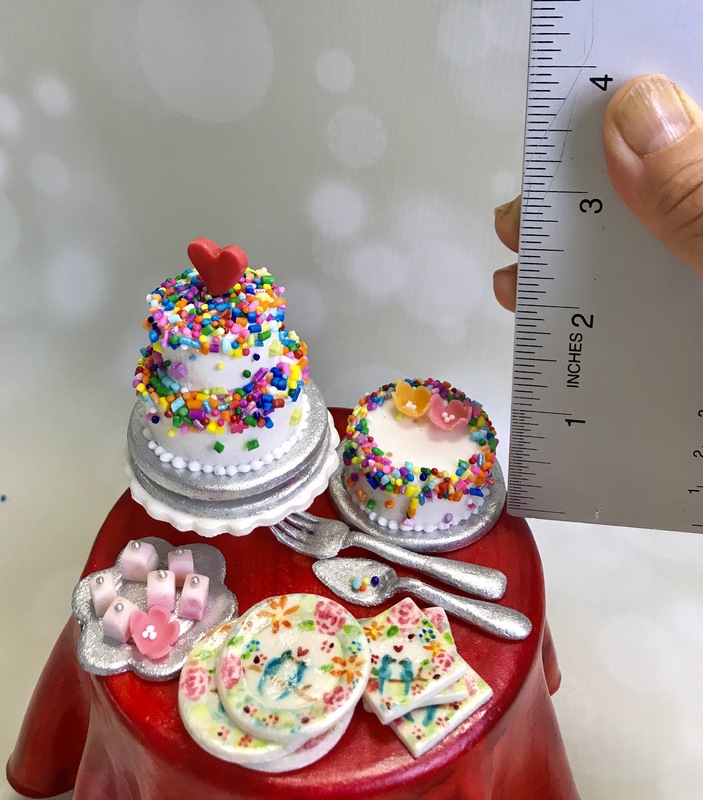 These cakes are under 2 inches tall! 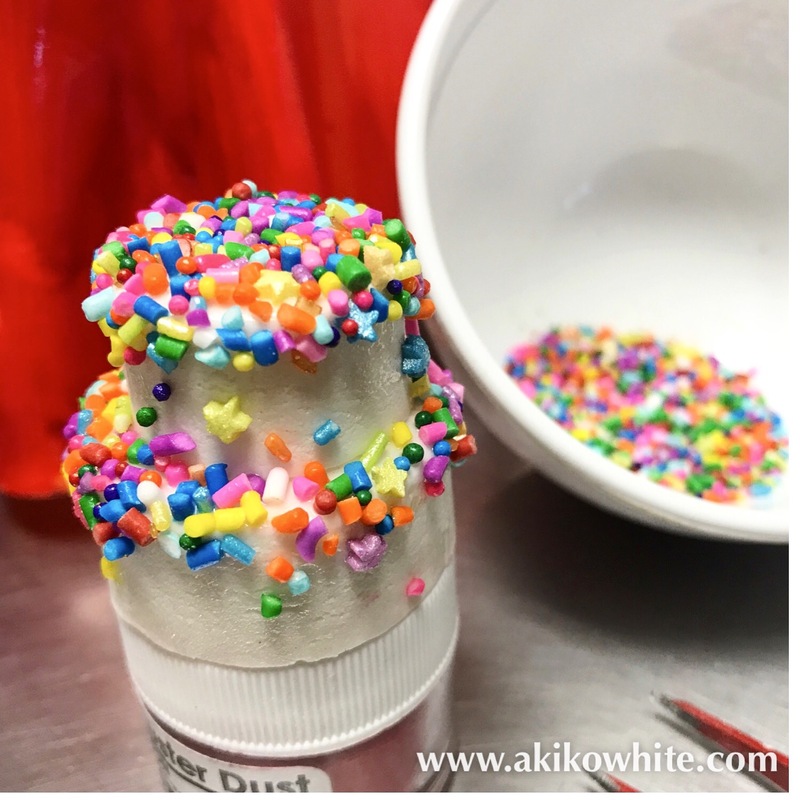 I never knew putting on sprinkles in just the right place would be so tedious! 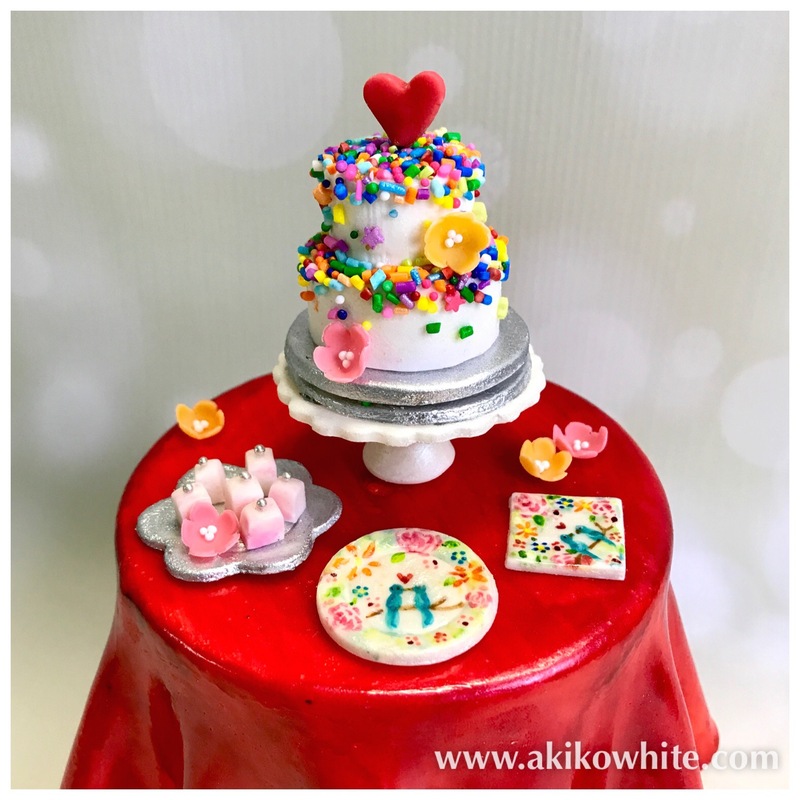 I wanted to create a simple designed cake that any child would be able to make. 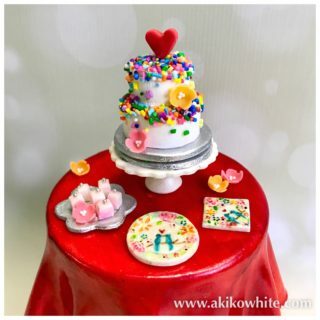 I will put up a tutorial on it as a real cake eventually. I think it would be fun for my readers to make it someday!